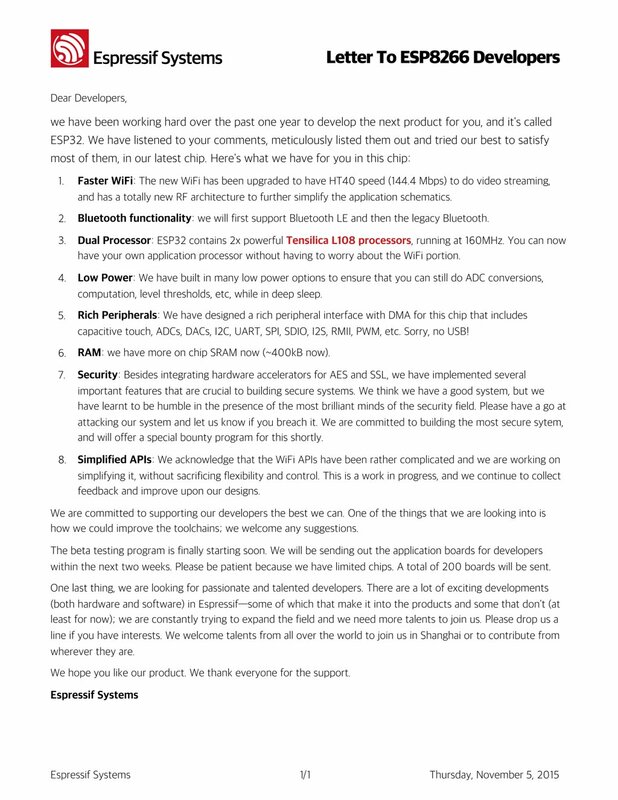 IoT with ESP8266: New kid in town - meet ESP32 an "ESP on steroids"
Today 05 November 2015 Espressif announced an "ESP on steroids" ESP32. See below the communicate. If ESP8266 was a big hit, I am expecting the same for the ESP32 which has more from everything (processing power, memory, IO etc) and is running RTOS.